Japanese Techno Label CARIZMA has celebrated 10 years anniversary!! They drop the 11th EP in this year. 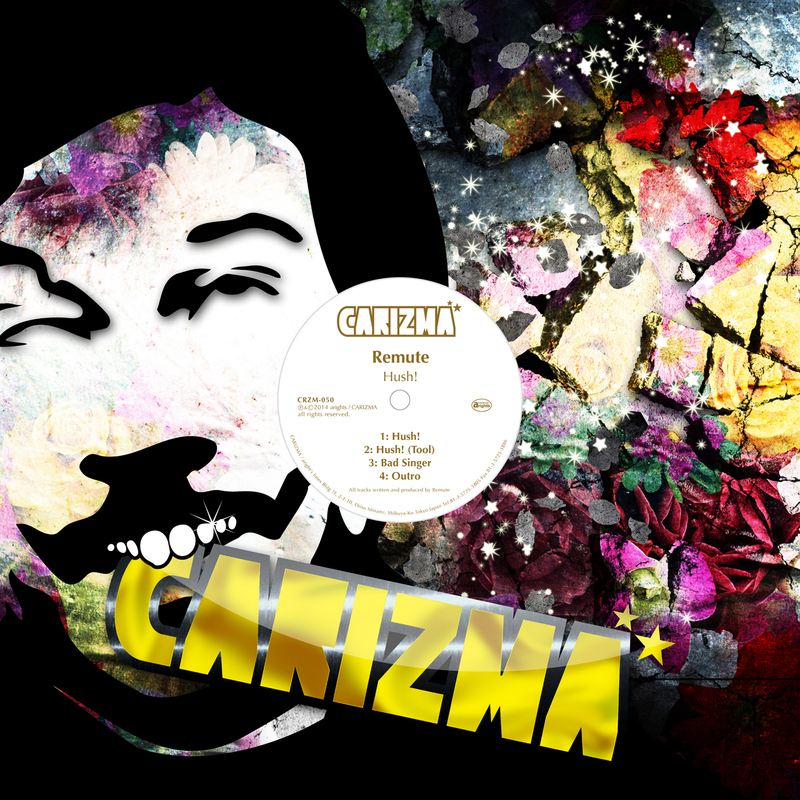 The German-Techno-Meister REMUTE release second EP from CARIZMA. Fantastic live act in his Japan tour is still fresh in our memory… The straight and cool techno track ”Hush!” was played on that live in advance. This track was complete as a label 50th tittle!! Moreover, this EP has additional smooth and funky disco tech track ”Bad Singer” that is made by directly experience the ‘groove of CARIZMA’ in Japan. ”Hush!” is the AMAZING result of REMUTE’s Japan tour with CARIZMA!! Remute (Denis Karimani) is the German Techno Meister. He released so many sure-shotfloorfillers and besides countless he played worldwide gigs at festivals, raves a la Mayday and cult-clubs like Berghain. From 2008, He launched his own, self-titled, label ‘Remute’. Denis sometimes also uses aliases like ‘Smrtphone’, whose banging tune ‘#1′ got transformed into a Coachella bigroom-anthem by UK mega star Sasha, and he also runs a successful artist-label called ‘RemuteD’ with releases by for example ex-Hacienda-resident and Justice-remixer Justin Robertson. The recent and probably most ambitious opus of self confessed retro-game-nerd and manga-freak Remute is called ‘REMUTE24′.